Save the dates! 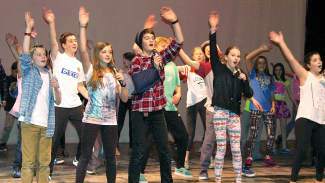 On March 12 and 13 at 6:30 p.m. at Battle Mountain High School, Vail Performing Arts Academy will present "Pop, Lock and Break," a hip-hop happening featuring 60 local students. Tickets are $15 and will be on sale at the door and online. For more information and to sign up for summer programs, visit www.vpaa.org.